On Tuesday, the Department of Homeland Security announced its end-of-year immigration enforcement numbers. The agency reported a drastic decline in illegal border crossings coupled with an increase in interior enforcement efforts. Border apprehensions dropped from 415,000 in fiscal year (FY) 2016 to 310,531 in FY 2017 (303,916 of which occurred along the southwest border). While the 25% decline of border apprehensions demonstrates a significant decline in illegal border crossings resulting from the administration’s immigration policies, the data still emphasizes the continued need for increased border security and the expansion of the physical barriers along the southern border. 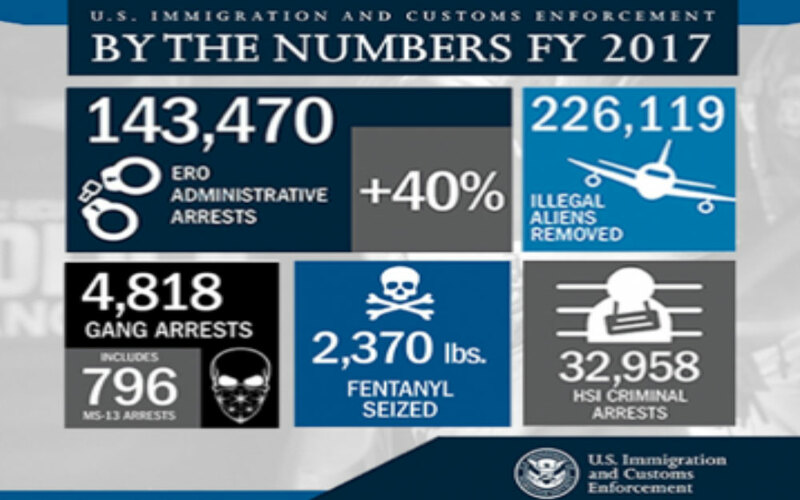 U.S. Immigration and Customs Enforcement (ICE) and Removal Operations (ERO) also reported it made 143,470 arrests and 226,119 removals in FY 2017. In comparison, ICE and ERO made just 114,470 arrests in FY 2016, but reported 240,255 removals. 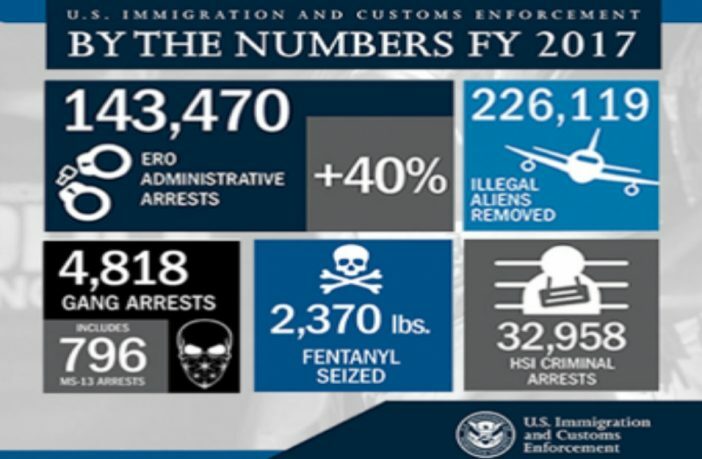 Agency officials noted that the reduced number of border apprehensions contributed to the reduced removal numbers since border removals had also been counted as standard removals.